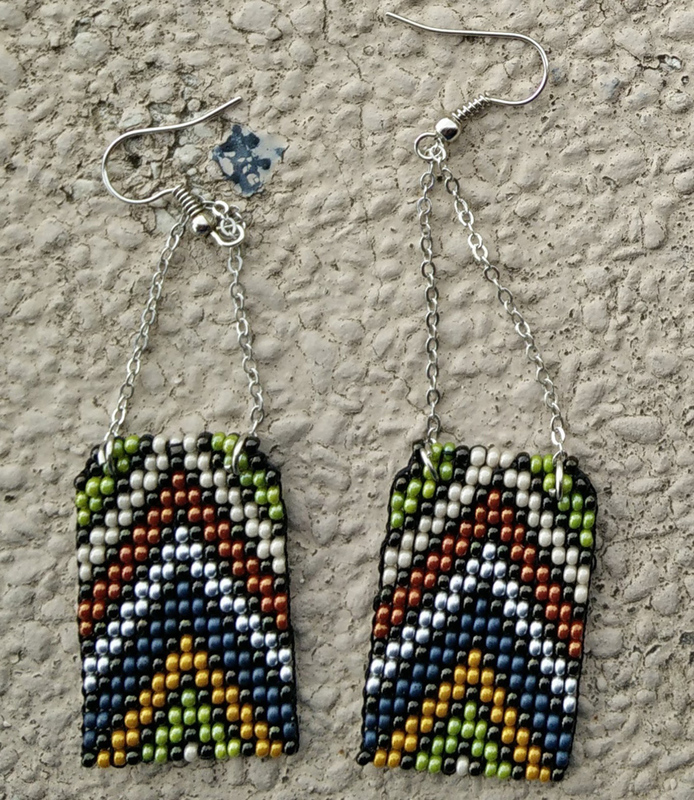 Tricolour premium beads. 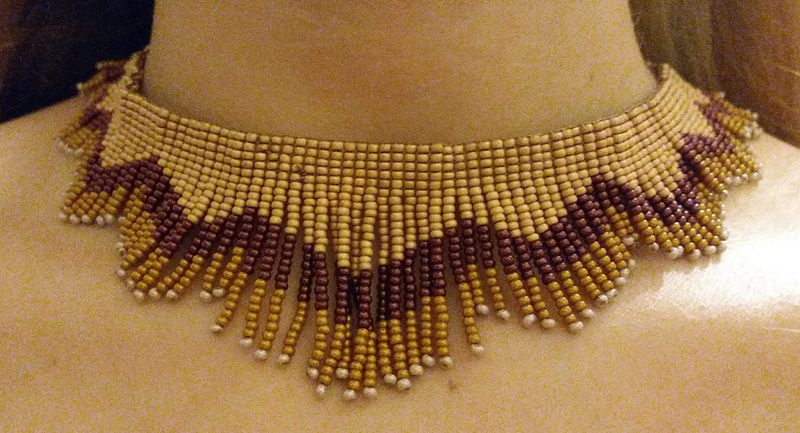 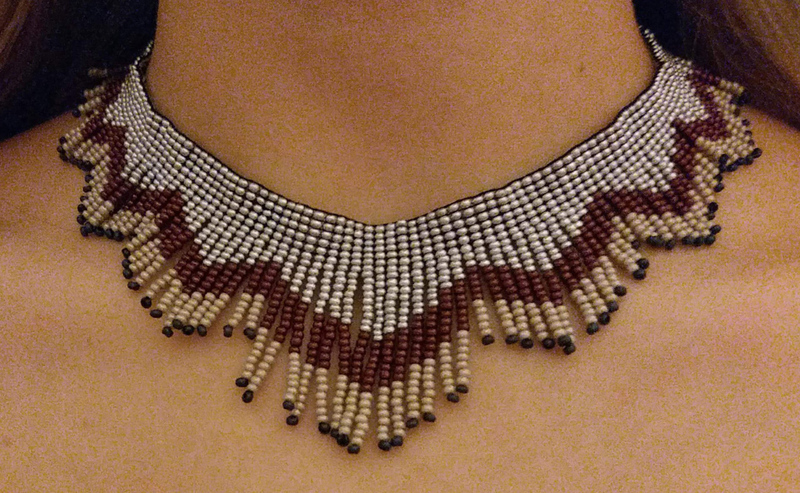 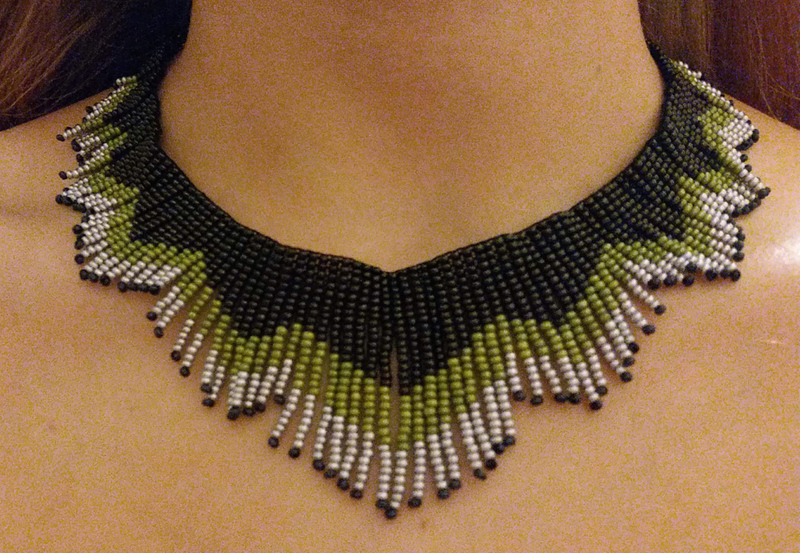 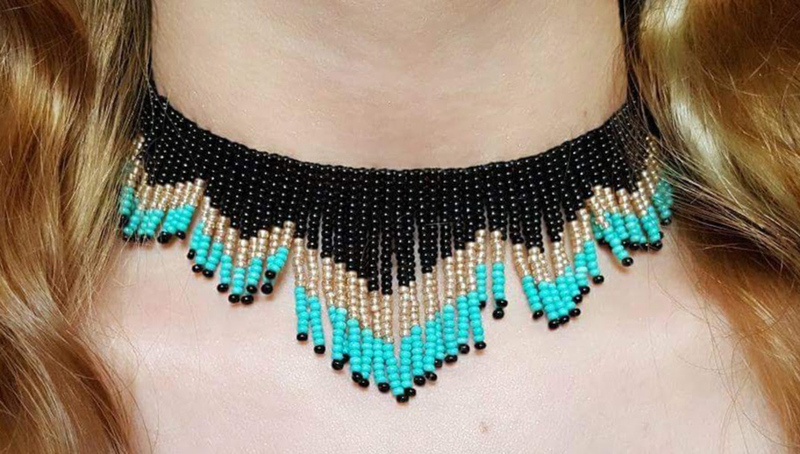 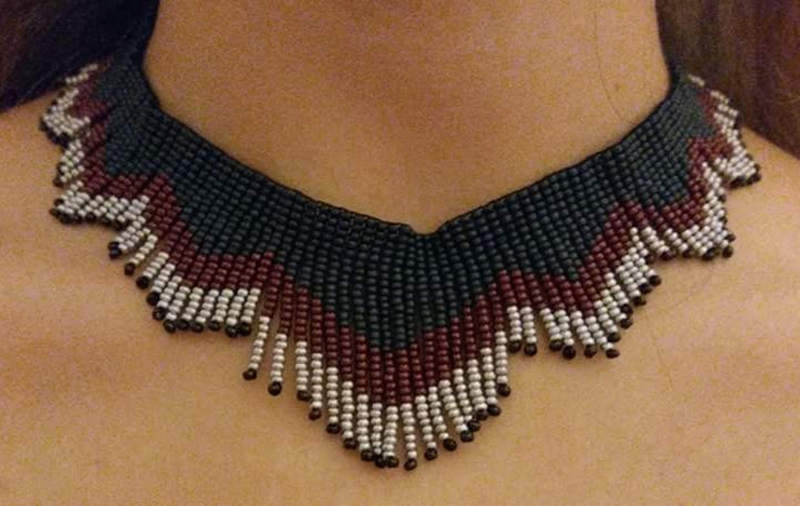 Beautiful pattern around your neck. 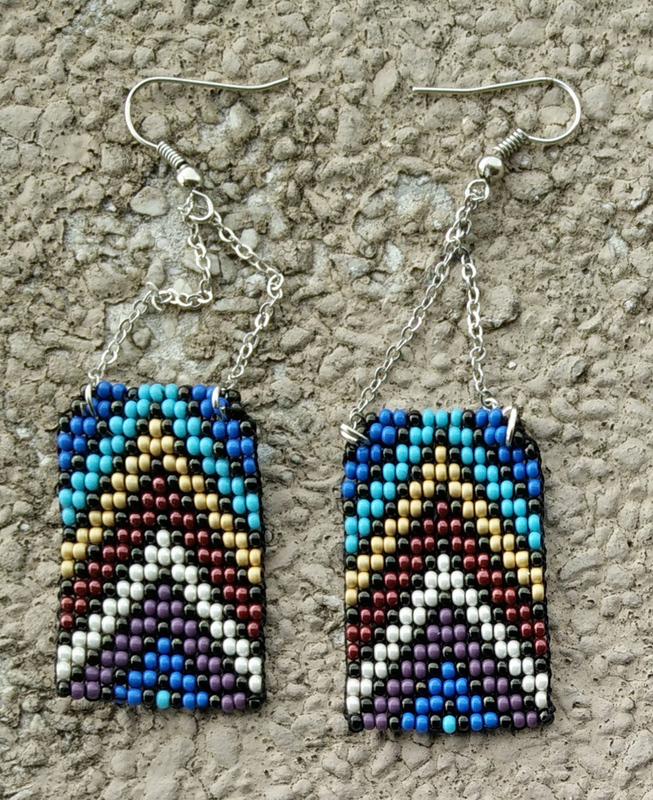 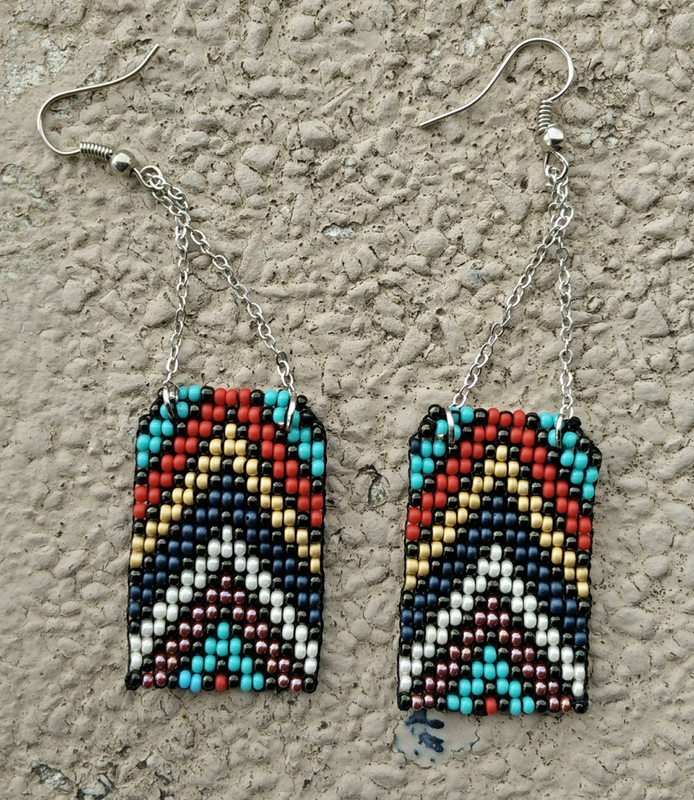 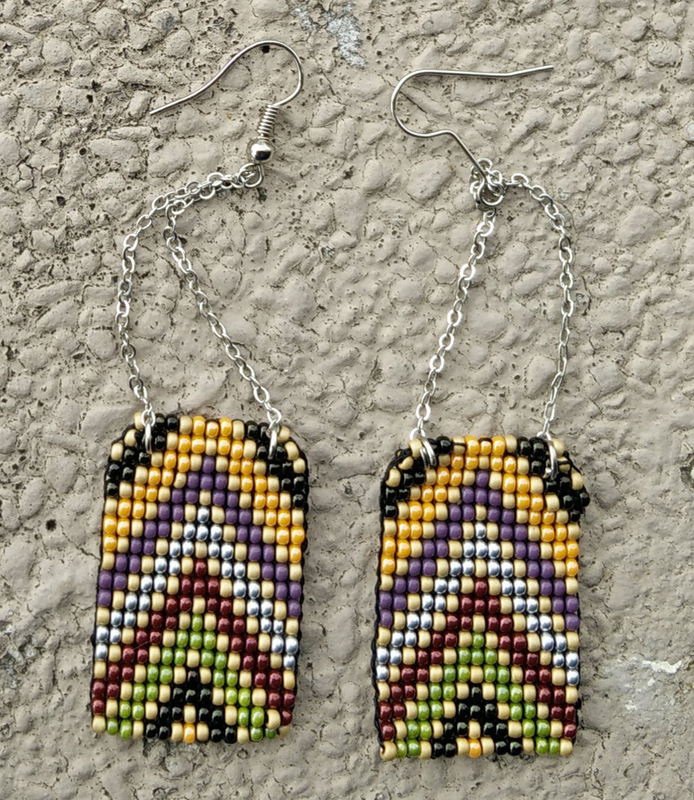 Beautiful arrowed patterns on a rectangular shaped earring piece. 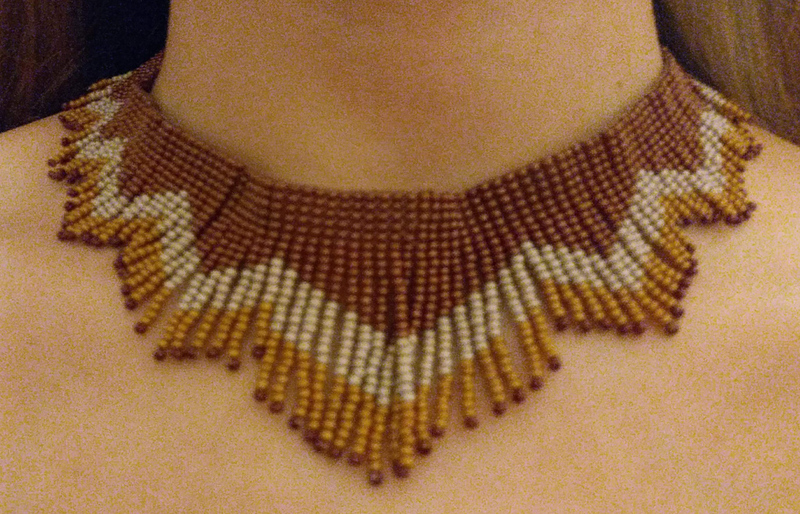 Premium beads.